Cardiff City has over 2.5 goals in their last 3 home games in Premier League. Burnley lost their last 4 away games in Premier League. Cardiff City has over 2.5 goals in their last 4 games in Premier League. Cardiff City lost their last 3 home games in Premier League. Cardiff City lost their last 4 games in Premier League. Rennes has over 2.5 goals in their last 3 home games in Ligue 1. Marseille has over 2.5 goals in their last 5 away games in Ligue 1. Lille has over 2.5 goals in their last 7 home games in Ligue 1. Rennes scored in last 9 home games in Ligue 1. Nimes scored in last 3 away games in Ligue 1. Montpellier scored in last 4 games in Ligue 1. Marseille has over 2.5 goals in their last 12 games in Ligue 1. Rennes has over 2.5 goals in their last 6 games in Ligue 1. Nimes ended draw their last 3 away games in Ligue 1. Lille won their last 4 home games in Ligue 1. Marseille scored in last 6 away games in Ligue 1. Rennes lost their last 3 games in Ligue 1. Rennes scored in last 14 games in Ligue 1. Montpellier has under 2.5 goals in their last 3 home games in Ligue 1. Nimes ended draw their last 4 games in Ligue 1. 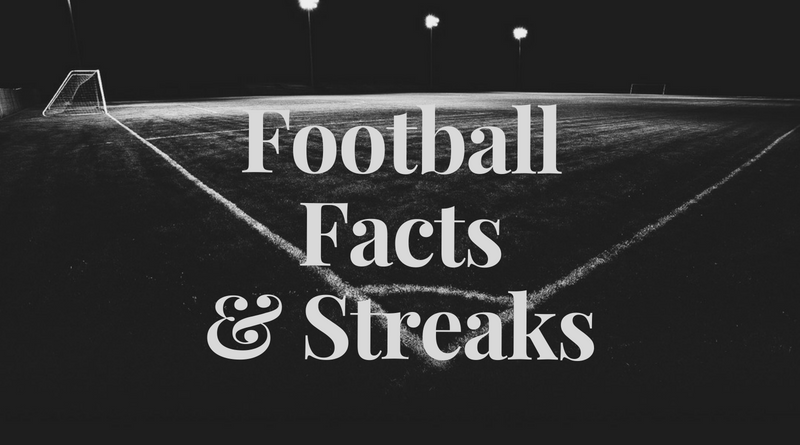 Bologna has under 2.5 goals in their last 3 games in Serie A.
Udinese scored in last 3 games in Serie A.
Parma 1913 has under 2.5 goals in their last 4 games in Serie A.
Sassuolo won their last 4 home games in Serie A.
Milan ended draw their last 3 games in Serie A.
Parma 1913 scored in last 5 home games in Serie A.
Empoli scored in last 3 games in Serie A.
Milan has under 2.5 goals in their last 4 away games in Serie A.
Parma 1913 has under 2.5 goals in their last 3 home games in Serie A.
Milan scored in last 12 games in Serie A.
Torino ended draw their last 3 away games in Serie A.
Parma 1913 won their last 3 games in Serie A.
Milan scored in last 9 away games in Serie A.
America MG has under 2.5 goals in their last 3 games in Serie A (Brazil). America MG allowed opponents to score over 1.5 goals in last 5 games in Serie A (Brazil). Corinthians allowed opponents to score over 1.5 goals in last 4 games in Serie A (Brazil). Bahia has over 2.5 goals in their last 3 games in Serie A (Brazil). Bahia scored in last 4 home games in Serie A (Brazil). Flamengo scored in last 3 games in Serie A (Brazil). Palmeiras has under 2.5 goals in their last 7 games in Serie A (Brazil). Palmeiras has under 2.5 goals in their last 7 home games in Serie A (Brazil). Cruzeiro has under 2.5 goals in their last 10 away games in Serie A (Brazil). Palmeiras scored in last 4 games in Serie A (Brazil). Palmeiras allowed opponents to score over 1.5 goals in last 17 games in Serie A (Brazil). Botafogo has over 2.5 goals in their last 3 games in Serie A (Brazil). Sao Paulo FC has under 2.5 goals in their last 8 games in Serie A (Brazil). Sao Paulo FC has under 2.5 goals in their last 3 away games in Serie A (Brazil). Botafogo has under 2.5 goals in their last 3 home games in Serie A (Brazil). Botafogo scored in last 3 home games in Serie A (Brazil). AGF Aarhus scored in last 4 away games in Superligaen. Brondby has over 2.5 goals in their last 7 games in Superligaen. Esbjerg has under 2.5 goals in their last 3 games in Superligaen. Brondby has over 2.5 goals in their last 3 home games in Superligaen. AGF Aarhus has over 2.5 goals in their last 3 games in Superligaen. Brondby scored in last 7 games in Superligaen. Brondby scored in last 3 home games in Superligaen. Esbjerg has under 2.5 goals in their last 3 home games in Superligaen. AGF Aarhus scored in last 7 games in Superligaen. Brondby scored over 1.5 goals in last 7 games in Superligaen. Lahti has under 2.5 goals in their last 5 games in Veikkausliiga. TPS Turku lost their last 6 away games in Veikkausliiga. TPS Turku didn’t score in last 4 away games in Veikkausliiga. Lahti didn’t score in last 3 games in Veikkausliiga. TPS Turku allowed opponents to score over 1.5 goals in last 3 games in Veikkausliiga. Seinajoen has under 2.5 goals in their last 6 away games in Veikkausliiga. Rovaniemi Palloseura scored in last 3 home games in Veikkausliiga. Rovaniemi Palloseura allowed opponents to score over 1.5 goals in last 8 home games in Veikkausliiga. Seinajoen allowed opponents to score over 1.5 goals in last 4 away games in Veikkausliiga. Feyenoord won their last 3 home games in Eredivisie. Groningen lost their last 4 games in Eredivisie. Zwolle has under 2.5 goals in their last 5 games in Eredivisie. Feyenoord scored in last 7 games in Eredivisie. AZ Alkmaar scored in last 4 games in Eredivisie. Zwolle scored in last 4 away games in Eredivisie. Feyenoord scored in last 23 home games in Eredivisie. Vitesse scored in last 3 games in Eredivisie. Vitesse allowed opponents to score over 1.5 goals in last 5 away games in Eredivisie. Groningen lost their last 4 home games in Eredivisie. Zwolle has under 2.5 goals in their last 5 away games in Eredivisie. Zwolle won their last 4 away games in Eredivisie. Sarpsborg 08 scored in last 13 home games in Eliteserien. Molde scored over 1.5 goals in last 10 home games in Eliteserien. Rosenborg allowed opponents to score over 1.5 goals in last 3 games in Eliteserien. Sarpsborg 08 has over 2.5 goals in their last 7 games in Eliteserien. Molde scored in last 9 games in Eliteserien. Sarpsborg 08 has over 2.5 goals in their last 3 home games in Eliteserien. Molde scored in last 18 home games in Eliteserien. Sarpsborg 08 lost their last 6 games in Eliteserien. Molde has over 2.5 goals in their last 10 home games in Eliteserien. Sarpsborg 08 scored in last 7 games in Eliteserien. DC United has over 2.5 goals in their last 3 home games in MLS. Houston Dynamo allowed opponents to score over 1.5 goals in last 3 home games in MLS. Montreal Impact scored in last 5 games in MLS. New York City has under 2.5 goals in their last 4 games in MLS. Minnesota United scored in last 3 games in MLS. DC United scored in last 5 games in MLS. New England Revolution allowed opponents to score over 1.5 goals in last 3 away games in MLS. Minnesota United has over 2.5 goals in their last 8 home games in MLS. DC United scored in last 4 home games in MLS. Montreal Impact scored in last 3 away games in MLS. Toronto has over 2.5 goals in their last 7 home games in MLS. New England Revolution has under 2.5 goals in their last 5 away games in MLS. Minnesota United scored in last 8 home games in MLS. New York City scored in last 3 games in MLS. Houston Dynamo scored in last 14 home games in MLS. New England Revolution scored in last 4 games in MLS. Toronto scored in last 10 home games in MLS. Houston Dynamo allowed opponents to score over 1.5 goals in last 3 games in MLS.